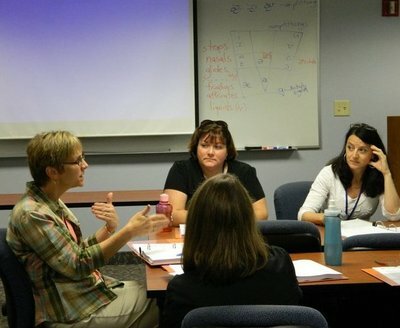 CASANA initiated the Childhood Apraxia of Speech Intensive Training Institute in 2011 as an effort to expand high-level, advanced clinical expertise throughout the United States and Canada for the population of children affected by CAS, a population that is noted for being complex to both diagnose and treat. A highly competitive program, the Institute accepts only 20 candidates in the program. Accepted applicants pay for room, board, travel, and materials, while CASANA provides over 30 hours of specialized, advanced training with three CAS Expert faculty members and ongoing professional mentoring. Funding for the specialized training and mentoring is made possible by donors and supporters of the Walk for Children with Apraxia of Speech® as well as in-kind support from the Department of Speech-Language Pathology at Duquesne University. Interested professionals should download the application and mail the completed application, postmarked no later than December 20, 2013, to CASANA. For questions, contact Kathy Hennessy via email only at kathyh@apraxia-kids.org.